Christmas is finally over. It’s time to pack up the mince pies (or eat them, obv. ), hide the Christmas jumper for another 12 months (it’s gotten too tight anyway, what with all of those aforementioned mince pies) and start prepping for the year to come. It’s also a good opportunity to spend some of that Christmas money bestowed upon you by lovely Aunties and Grandmothers during the festive season and seeing as Escentual are currently running a pretty phenomenal sale (20% off everything, please form an orderly queue, people) it would be criminal to stockpile the Christmas cash and not treat yourself to some scented sale items. I’ve had a good old trawl through Escentual’s fragrant offerings and have picked out some of my highlights from the sale, for her, for him and for both sexes. When it comes to 20% off everything, I try to focus on those items that may be seen as luxuries at full price – scents where the discount is just so good one can’t help but press the ‘buy’ button’. So, go on, treat yourself, whack one or two of these in your basket, enter the code ‘ESCENTUAL20’ and enjoy some scented treats to round off the year. When there’s an opportunity to save a dollar or two on something utterly luxurious, it mustn’t be missed. 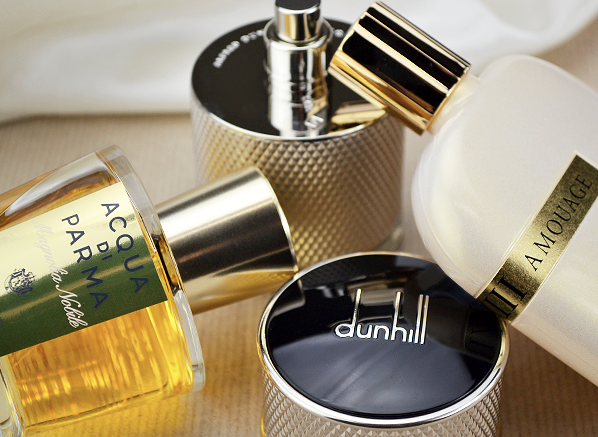 To me, Acqua di Parma equals true luxury. Not only are their fragrances utterly beautiful and masterfully composed, they’re also packaged in gorgeous bottles that give them a truly expensive feel. 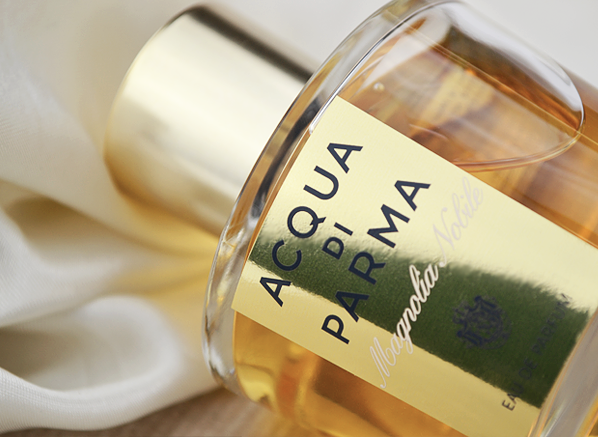 Perhaps the most covetable items on offer in the Acqua di Parma collection are found within their ‘Le Nobile’ line, which includes fragrances that pay homage to individual flowers. I find myself drawn to the hedonistic floral tones of Magnolia Nobile, which wouldn’t look out of place being spritzed heavily whilst holidaying on the Amalfi Coast. The fragrance smells wonderful, capturing the citrus-heavy and creamy narcotic nuances of pure magnolia blooms in scent form. For just over £59 50ml of this little beauty could be yours in the Escentual sale. You can’t beat the little black dress – it goes with everything and works for almost every occasion. It’s no wonder then, that nearly every fashion designer out there has made it a staple of their ready to ready to wear collections. But you needn’t splash out thousands at Diane von Furstenburg or at Saint Laurent Paris because Guerlain have some perky pert-a-porter perfume on offer that perfectly captures the spirit of the humble LBD, all available at non-bank-breaking prices. I am of course referring to La Petite Robe Noire, the whirlwind of cherry, rose, liquorice and black tea that has brought the house of Guerlain firmly into the world of fashion. My sale pick here would be the Extrait, the deepest, richest and most cherry-pie-like of all concentrations. It’s a precious jewel in the Guerlain catalogue and at just under £74 with the ESCENTUAL20 discount, it’s a must. It would be fair to say that a lot of mainstream masculine fragrances are not as good as they could, or should be. Us gents do tend to be less adventurous with our scents and often stick to what we know, and the industry panders to this somewhat. Not all masculines are created equal though and one that strikes me as particularly well-executed is ICON by Dunhill London. ICON doesn’t smell like anything else out there. It’s a veritable melange of fresh bergamot, sticky cardamom syrup, smoky woods and caramelised lavender. It feels iconic because it has everything that makes a masculine fragrance great (the woods, the lavender and the bracing citrus etc.) but it utilises them in surprising and unique ways to make something entirely new. Get 100ml for £58.40 in the Escentual sale using the ESCENTUAL20 discount code. Now we move from something new to something more familiar: Carven’s Vetiver. Often regarded as one of the greatest vetiver fragrances of all time, Vetiver is a warm and cuddly taken on the age-old note that feels more intimate than the other great vetivers, namely Guerlain’s. Originally launched way back in 1957 and reborn from the ashes in 2014, Vetiver smells phenomenal even today and boasts a wonderfully nutty character that is unusual amongst its contemporaries. What’s more, this relaunched edition comes in arguably one of the most handsome flacons to have ever graced a masculine fragrance. At £40 for 50ml in the Escentual sale, dapper gents really have no excuse not to go for this classic. 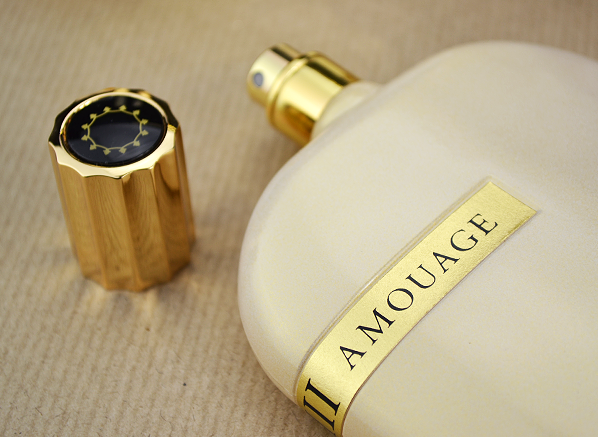 I just had to chuck an Amouage in to the mix now, didn’t I? It would simply be criminal not to and when you can have a few pennies off a truly luxurious scent that normally would break the bank, I’d be mean not to be direct your attention firmly towards such an opportunity. My Amouage pick would be Opus VIII, simply because it’s one of my recent favourites from the brand. Opus VIII is special because it pairs a skyscraper of a jasmine note with the house’s signature of silver frankincense (amongst many other things, of course). The result is a weightless floral that feels complex and finely crafted, like an intricate pattern woven into expensive French lace. If you’re wanting something truly special then a 50ml Eau de Parfum will set you back £144 if you use the code ESCENTUAL20. The Eau de Cologne genre is awash with an interesting array of fragrances that boast refreshing freshness in a variety of unique ways. Etat Libre d’Orange are a brand that know how to shake things up and that’s exactly what they did with their interpretation of cologne. What is surprising about Etat Libre d’Orange’s Cologne is that it is far from racy, sexually charged and shocking, three things characteristics that make up the core DNA of the brand – in fact, it is a straight up clean cologne done in a modern way. No jokes, no tricks and no filthy. Cologne smells sticky and juicy with a wonderfully tart orange opening akin to a giant dollop of fresh marmalade that is thick and full of rind, before settling to a warm floral musk with a soapy feel. I like Cologne because it is Etat Libre d’Orange with their act firmly cleaned up. They have gone to perfume rehab and are ready to behave, albeit not for very long. You won’t find a better modern Eau de Cologne and it’s a bargain in the Escentual sale at £76 for 100ml. This entry was posted on Wednesday, December 30th, 2015 at 10:51 am and is filed under Candy Perfume Boy, Fragrance. You can follow any responses to this entry through the RSS 2.0 feed. You can skip to the end and leave a response. Pinging is currently not allowed.